A self-winding mechanical watch from Longines or Tudor needs to keep moving or you’ll be setting the date and time more than you care to. If you have a watch collection then you’ll want to protect your investment and keep them organized and wound using a good quality watch winder. 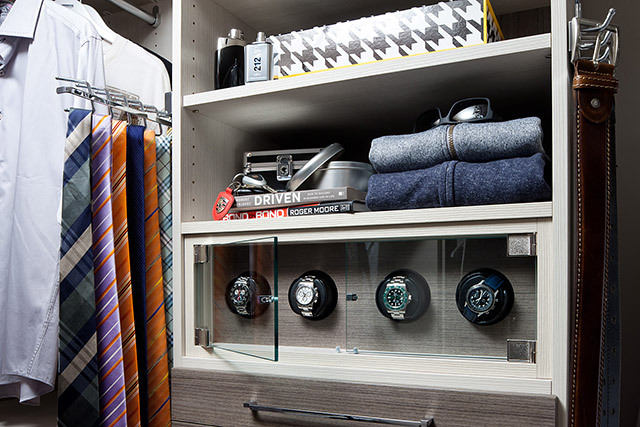 Organized Interiors uses Orbita watch winders exclusively in its dressing rooms and custom closet designs. Orbita is the world’s largest producer of watch winders, designed to meet the high standards of premium watch collectors. There are dozens of companies making watch winders but three things set Orbita apart from the rest — design, build quality and features. The cheaper watch winders on the market tend to be unreliable and noisy. If your watch winder is going to be off the bedroom in a dressing room or closet, the last thing you want to hear at night are several watch winders grinding away. Orbita watch winders have a silent motor that won’t keep you awake at night. Using a ball-bearing construction and solid-state controls, the motor can run maintenance-free for a long time. 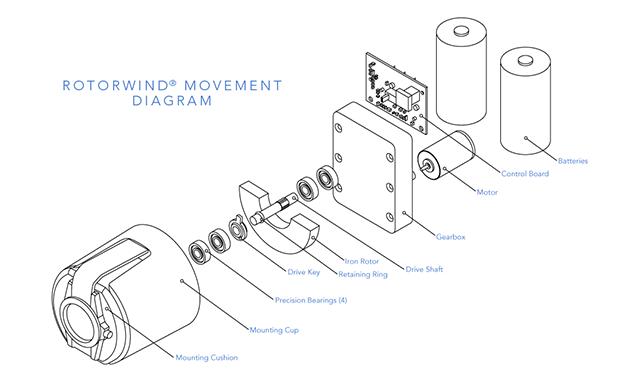 Orbita’s Rotorwind system doesn’t rotate a watch like a traditional winder. It swings the watch to mimic human motion and gestures. This provides a more natural wind as if you were actually wearing the watch. Orbita’s programmable watch winder using a traditional rotating style. It can be programmed to rotate clockwise, counter-clockwise or automatic reversing rotation. Winding cycles can also be programmed to 650, 800, 950 or 1,300 turns per day (TPD). Orbita has a watch winder database that can help you determine how many TPD your watch requires. Finding AC power in a closet can be difficult. The electrical outlet may not be accessible and depending where you live, it may be against the building code to have it in the closet. Battery power provides more flexibility in terms of location. 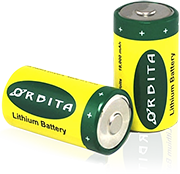 Orbita lithium batteries can last for 5 years and replacement batteries are available at Organized Interiors (or directly from Orbita). Orbita watch winders come with a two year warranty in materials and/or workmanship. An optional extended warranty provides an additional 3 years of coverage. 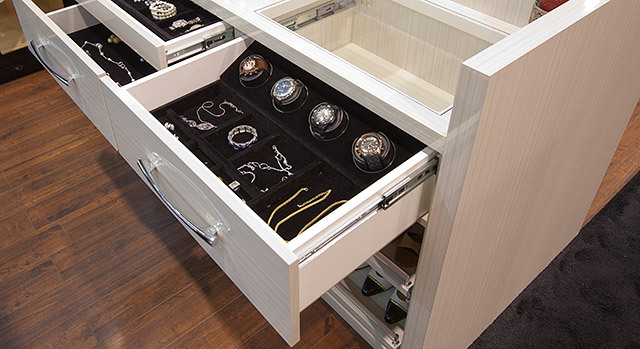 Organized Interiors designs and manufactures custom drawers and cabinets to hold your watch winders. You decide if you want them in felt lined drawers or a custom glass case. Our goal is to make it quick and easy to select a watch from your collection in the morning. If you’re in the greater Toronto area then stop by our showroom in Vaughan. 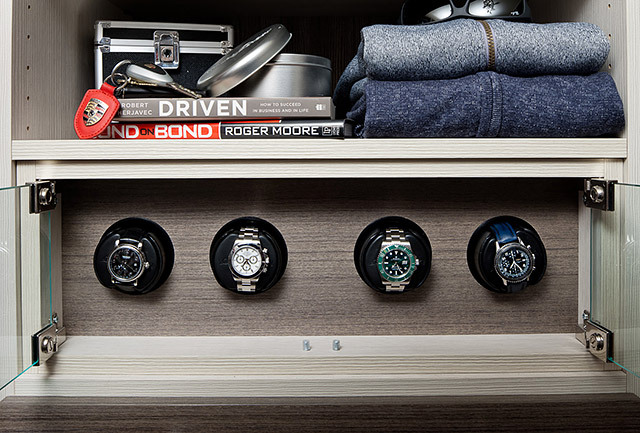 We have several examples of how watch winders are being used in custom closets.